An auto dealer website is one of the most important tools in your digital marketing kit. It’s the reason many dealers put so much time and effort into their websites. With the right features, your auto dealer website can be transformed into a lead-generating machine. Which features should you find on the website of an auto dealer? These are some of the most essential ones. If your website already incorporates some of them, you’re ahead of the game. If you haven’t yet adopted these features, consider doing so and watch your lead generation soar. How much thought have you given to the design of your auto dealer website lately? If the answer is “not much,” it may be time to review your current website. For many potential customers, your website is the first interaction they’ll have with your dealership. You’ll want to make a good first impression. Thoughtful design does two things for auto dealers. First, it communicates about your brand. Are you here to help your customer find the best deal on a vehicle that meets their needs? Are you selling luxury vehicles to a small segment of auto enthusiasts? Your website design can begin to communicate about your brand immediately. Design also enables your potential customers to navigate and discover the information they’re looking for with ease. Finally, you’ll also want to ensure your website is responsive. This means it should be enabled for mobile viewing. As more of your potential customers are looking at your website on a smartphone or tablet, responsive design is more important than ever. How can this help you generate leads? First, good design encourages potential leads to navigate around the site. Thoughtful design also includes careful consideration of where to place your calls-to-action. CTAs help you generate more leads. Speaking of calls to action, do you have any on your website currently? CTAs are important lead-generating tools. They encourage visitors to your website to sign up for a newsletter or to start a conversation with a sales representative. Auto dealer websites with CTAs generate more leads than those without. CTAs come in many forms and they can be placed almost anywhere on your website. A pop-up chat window is a call-to-action, inviting potential customers to interact with your team and ask questions. Another CTA might appear on your home page, asking people to sign up for email updates or alerts on a vehicle. If you want to turn your auto dealer website into a lead-generating machine, you’ll want to invest in some lead management tools. Giving the website a makeover and adding more CTAs will help you generate more leads. Once you have more leads, however, you’ll probably find you need some more tools for effective management of all these leads. Lead management tools help you manage your walk-ins, phone contacts, and online leads together. Real-time ROI metrics can help measure your cost-per-lead. Automation and reporting features also contribute to more effective lead management. How does a potential lead know they can trust you? You can offer them social proof right on your auto dealer website. Ask customers who have had a great experience with your dealership to provide a testimonial you can add to the website. It’s one thing for you to say you have many satisfied customers. It’s another thing for leads to hear it from those satisfied customers themselves. 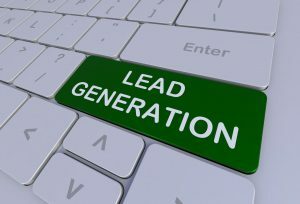 There are many other lead-generating features you can include on your auto dealer website. These few examples are often easy to implement. Adding social proof or CTAs, for example, can be a low-cost solution for lead generation. Start fine-tuning your website to drive lead generation with these suggestions.